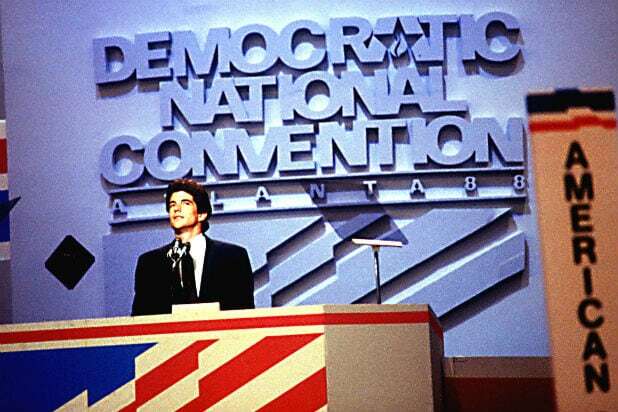 Late magazine editor and political son John Fitzgerald Kennedy Jr. would have run for president in 2016, a former top aide told TheWrap. JFK Jr., who died in a tragic plane crash in 1999, often denied he would seek office during his lifetime, instead focusing on his glossy political magazine George. But RoseMarie Terenzio, his chief of staff, said he was eyeing multiple elected positions prior to his death — including one that went to Hillary Clinton. As the son of the late President John F. Kennedy and former First Lady Jacqueline Kennedy, it would be an understatement to call him an heir apparent in American politics. Shortly before the crash, which also claimed the life of his wife, Carolyn Bessette, and her sister, Terenzio said he considered the New York Senate seat that ultimately went to current presidential nominee, Hillary Clinton, in 2000. “[John] was approached for Hillary’s Senate seat. He basically said, If she ran he wouldn’t do it. But I think he thought it was too soon. I don’t think he would’ve liked the Senate. As governor, he would’ve felt more empowered to do more running the state of New York,” Terenzio said. The 1999 crash, which made national headlines and left his sister Caroline as the sole survivor in their nuclear family, took him out of the race for either role. r.,” stressed that her former boss would not have entertained any office without building a career on his own merit. Criticism that the magazine was shallow and past embarrassments, like his repeatedly failing the bar exam, gave him pause when it came to the invasive process of running for office, she said. “I Am JFK Jr.” airs Monday at 9 p.m. on Spike TV.